- Iceland 24 - Iceland Travel and Info Guide : Have you ever been inside a volcano? A volcano trip in Iceland! 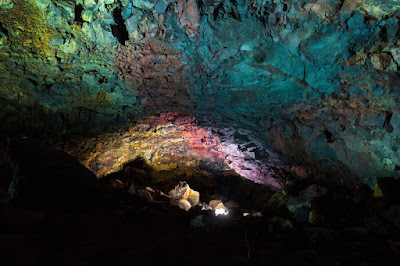 Have you ever been inside a volcano? 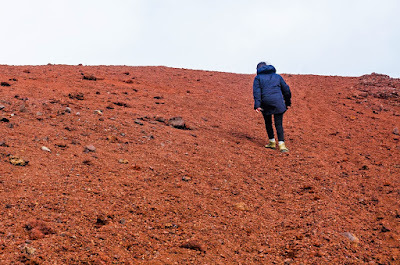 A volcano trip in Iceland! 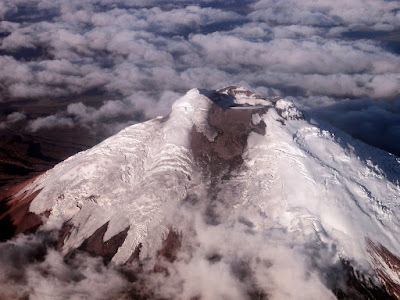 At dawn on January 23, 1973, Eldfell volcano on Westmann Islands erupted and cleared the island of a majority of its inhabitants until the eruption ended in July of the same year. 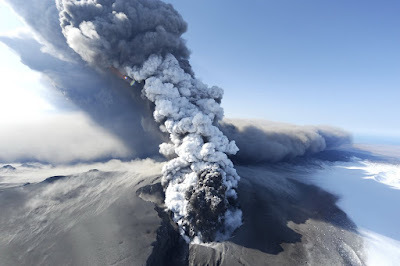 This volcanic eruption is crucial to the history of Iceland and has given the island Heimaey a new face; the island's size increased by two square kilometres covering a third of the houses in lava and ash. This little volcano just 200 meters high has not burned out yet. 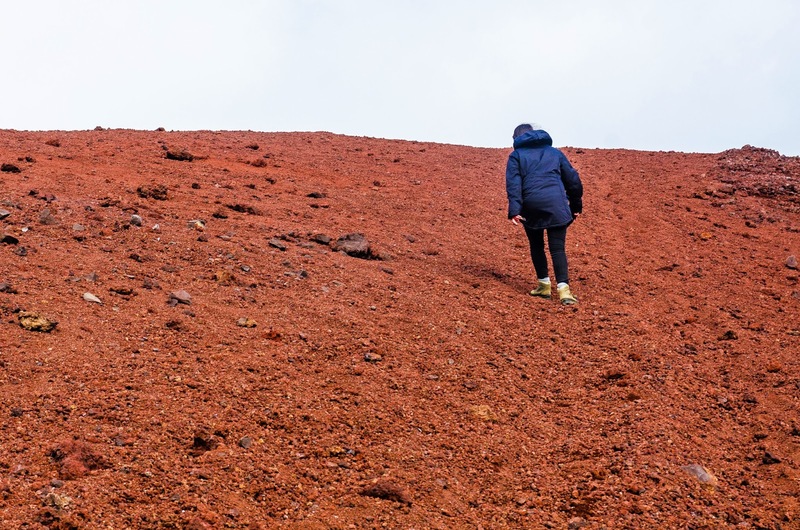 If you go to the Westmann Islands and climb to the top of the volcano, you can immerse your hands in the earth and still feel the heat of the eruption that happened 1973! Þríhnjúkagígur is a 4000-year-old volcano that was made famous in the summer of 2012 when Björn Ólafsson had the brilliant idea to organise excursions inside the volcano. Yes, you read right: you can go into the magma chamber of Þríhnjúkagígur, using a kind of elevator installed for visitors. 120 meters separates the input of your "destination" in the bowels of the volcano ... usually, lava fills the magma chamber of volcanos, blocking access to the heart, but not this time. Þríhnjúkagígur is a unique volcano: one of a kind! Björn Ólafsson, known for his ambitious projects, plans to build a tunnel that makes access easy to the volcano. Þríhnjúkagígur located near the Blue Mountains, near Reykjavík, is also known as a popular skiing destination in winter. Lakí or Lakagígar (Craters of Laki) is an impressive volcanic fissure located near Kirkjubaejarklaustur in Southern Iceland. Accessible only during the summer months, the show Lakagígar offers us is both impressive and beautiful. 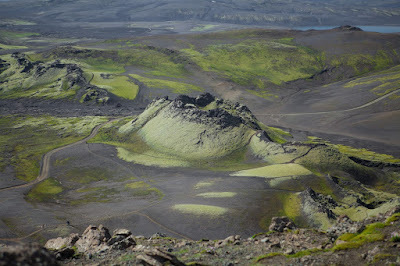 The volcanic structure links to the Grímsvötn; in 1783, more than 120 craters erupted and caused damage to the Icelandic population, with possible repercussions around the world-especially because of sulphur dioxide that acts as a poison. It estimates that a quarter of Iceland's population at that time died as a result of the eruption. The Eyjafjallajökull is an ice cap covering a volcanic massif on Mýrdalsjökull glacier and has made world news in 2010 when, erupting, she blocked a good portion of air traffic in Europe for several days. The Eyjafjallajokull volcano is inactive but erupts fairly regularly, approximately every 200 years. In 2011, Þorvalseyri farm at the foot of the volcano opened an information centre about Eyjafjallajökull and about daily life alongside a volcano. Grímsvötn is a volcano glacier in Vatnajökull, and among the Icelandic volcanoes, it erupts most often. It last erupted in 2011 and was the largest volcanic eruption in Iceland for fifty years. 5 Amazing waterfalls in the West of Iceland!